I just love Bethany Lakes story. They are so entertaining and full of fun and mischief. 5 srtars . When the high school valedictorian/head cheerleader/mean girl returns to Sylvan Creek there are a whole lot of people that aren’t happy about her return. 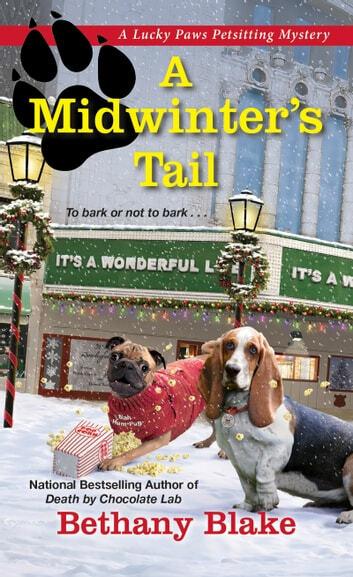 When she is found dead under the town Christmas tree, Daphne is given clues to follow the trail of the murderer, because she knows her BFF Moxie, while looking like the most likely suspect, wouldn’t hurt a fly. 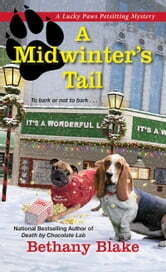 With so many suspects, Daphne finds that she’s not the only one trying to keep Moxie out of the pokey. Detective Jonathan Black also believes Moxie is not capable of murder, but he must follow the clues where they lead…and Daphne understands. Just as she understand that her casual dating friend must also report the news, whether he believes Moxie is innocent or not. It’s a tough spot for a gal to be in, especially when she has a personal relationship with both men. I have loved this series from the first one that I read. Bethany Blake makes each new book like a visit with good friends…and it is time well spent with the folks in Sylvan Creek, Pennsylvania. Can’t wait to see what the future holds for Daphee, Moxie and the men in their life.